Gene Reynolds as James ‘Jimmy’ MacMahon, Jr.
“Love Finds Andy Hardy” is a 1938 American romantic comedy film that tells the story of a teenage boy who becomes entangled with three different girls all at the same time. It stars Mickey Rooney, Lewis Stone, Fay Holden, Cecilia Parker, Judy Garland, Lana Turner, Ann Rutherford, Mary Howard and Gene Reynolds. 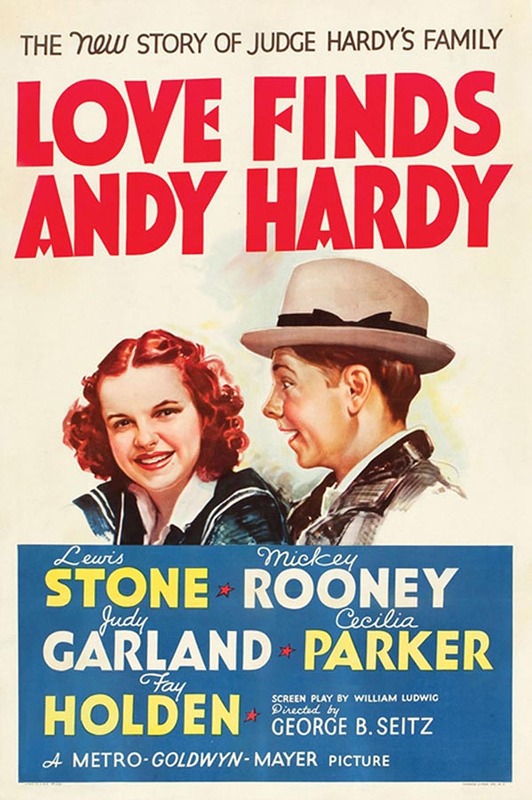 Love Finds Andy Hardy was selected for preservation in the United States National Film Registry by the Library of Congress as being “culturally, historically, or aesthetically significant”. This was the first film in which Metro-Goldwyn-Mayer recorded at least part of the soundtrack in stereophonic sound, a practice which was used for a number of MGM musical comedies beginning the late 1930s. The film was presented in standard monaural sound. Andrew “Andy” Hardy is a fictional character played by Mickey Rooney in a Metro-Goldwyn-Mayer film series from 1937 to 1946, with a film released in 1958 in an unsuccessful attempt to revive the series. Hardy and others were based on characters in the play Skidding by Aurania Rouverol. 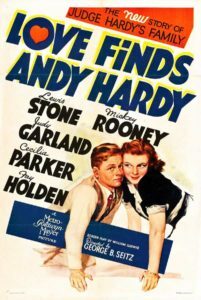 Early films in the series were about the Hardy family as a whole, but later entries focused on the character of Andy Hardy. Rooney was the only member of the ensemble to appear in all 16 movies. The Hardy films, which were enormously popular in their heyday, were sentimental comedies celebrating ordinary American life. Lana Turner plays Cynthia Potter.